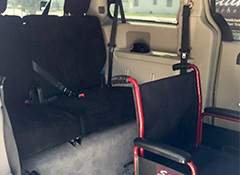 This is a very versatile van, it can hold up to 3 wheelchair passengers or a stretcher. 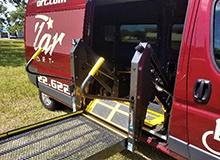 It also has bariatric capabilities with our extra wide wheelchair lift. 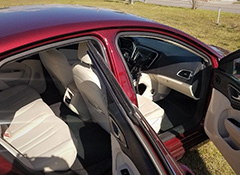 Not only is she versatile but has an upgraded chassis and interior package. 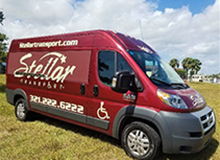 This van can go state to state with ease and rides like a dream. Stretcher or Wheelchair Capabilities. 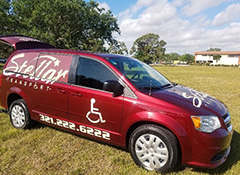 We have a full fleet of Dodge Caravans set up for wheelchair transport. 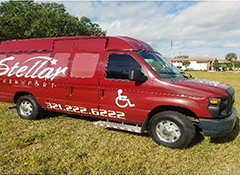 These vans are easy to get in and out of and can go anywhere you want in comfort and style! 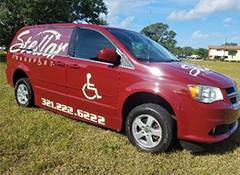 We have a full fleet of Dodge Caravans set up for wheelchair transport. 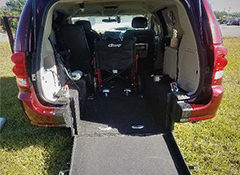 The advantage of a “Side Entry” van is that you can have up to 4 passengers ride along if you are in a wheelchair. 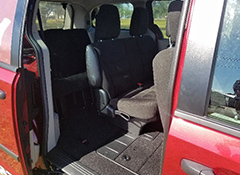 Our minivan is set up to hold up to 5 Passengers comfortably. 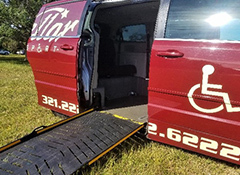 We carry extra steps to help anyone with mobility issues get in safety. 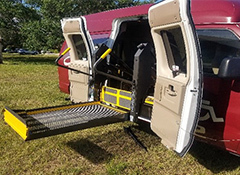 A great sedan for up to 3 ambulatory riders. 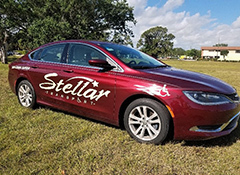 This vehicle is a 2016 and rides great!